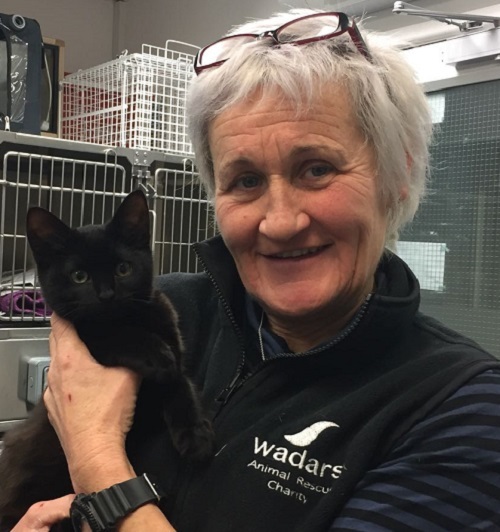 This little cat was found in the Salvington area of Worthing by a lady who had driven from Chatham in Kent, to Horsham, and then on to Salvington, at which point she heard crying coming from under the car bonnet. At the moment we are not sure whether he got in the car in Kent, Horsham, or locally. If anyone you know has lost a young cat like this, please do ask them to contact us on 01903 247111. We will obviously require proof of ownership by anyone making a claim on him. Thank you to all the staff at the Littlehampton and Bognor Regis offices of Arun District Council, who have very kindly donated dozens of toys and edible treats for the animals in our care this Christmas. The gifts were donated as part of the Council’s festive ‘Giving Tree’ appeal. 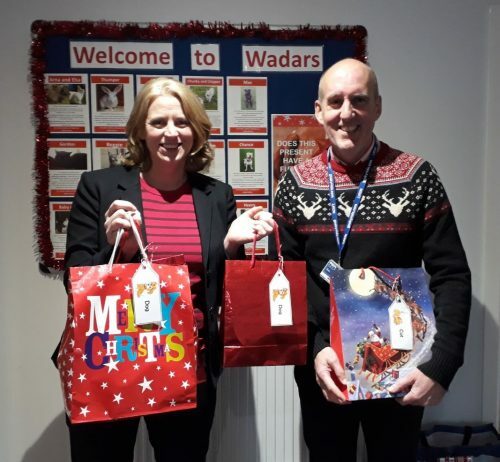 Mike Knight from Arun District Council visited our office earlier this week to hand over the goodies to Wadars Fundraising & Volunteer Coordinator, Sophia Wilks.